Who knew that you now have to read fashion magazines to keep up with the art world? 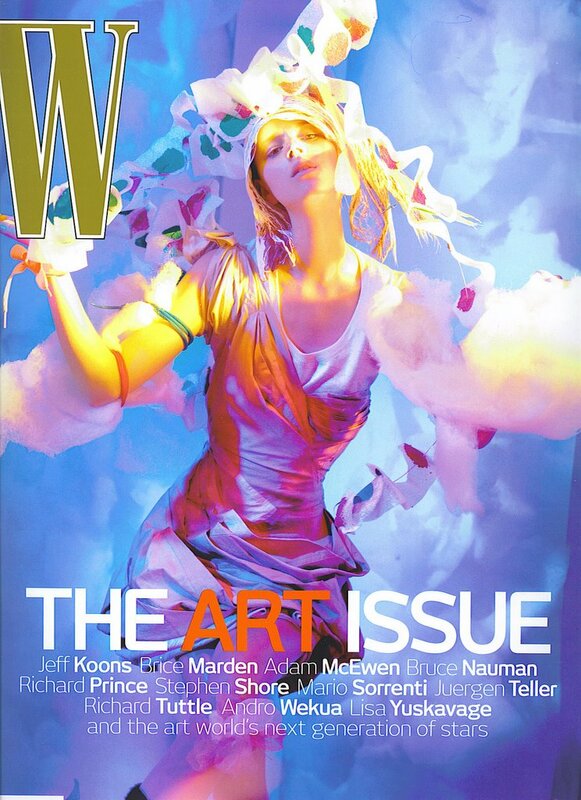 This month, W magazine is dedicated to contemporary artists. "The Art Issue" features articles, photos, and spreads on Jeff Koons, Brice Marden, Adam McEwen, Richard Tuttle, and Lisa Yuskavage. I haven't yet read all the articles; I've got a million post-its bookmarking all the pages I want to study. After buying this issue ($4.50), I decided to subscribe to the glossy, a much edgier version of Vogue, so now I'll really be on top of things.